Where Search Engine Optimization focuses on improving your website performance and organic visibility in the search engines, Search Engine Marketing focuses on paid ads to gain immediate traffic. Depending on the performance of your ad campaign, you can even appear above the organic results which can drive significant traffic your way. Search Engine Marketing through PPC platforms like Google Adwords and Bing Ads provide businesses the opportunity to obtain immediate traffic to their website. 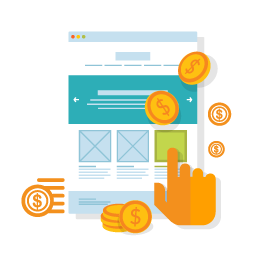 Unlike other forms of advertising, with PPC you only get charged when customers take specific actions. No more wondering if your advertising dollars are being spent effectively. Social media platforms like Facebook and Twitter also provide advertising opportunities for businesses. Whether it's ads designed to build brand awareness, or to promote a product or service, social media advertising can get your business in front of thousands of potential customers. PPC advertising allows you to geo-target specific areas. You can choose the exact regions you want to focus your ad spend on, and get the highest return on your investment possible. Let us set up and manage pay-per-click advertising campaigns for your business. With our Content Marketing Services your ads are written professionally and with intent to maximize your ad spend. Contact us today to see how we can help your business succeed with PPC advertising. ©2018 RightSEM LLC. All Rights Reserved.